WordPress developers missed some places when fixing the privilege escalation issues for WordPress 2.8.1. Luckily, they got excellent feedback from the WordPress community and were able to fix this small issues. Many followers in the community dug deeper and discovered some areas that were overlooked. 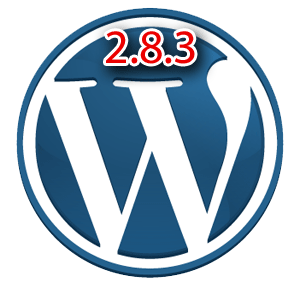 With their help, the remaining issues are now fixed in WordPress 2.8.3. Since this is a security release, upgrading is highly recommended. Download 2.8.3, or upgrade automatically from your control panel. Just go to Tools -> Upgrade and then enter your FTP details to update automatically.